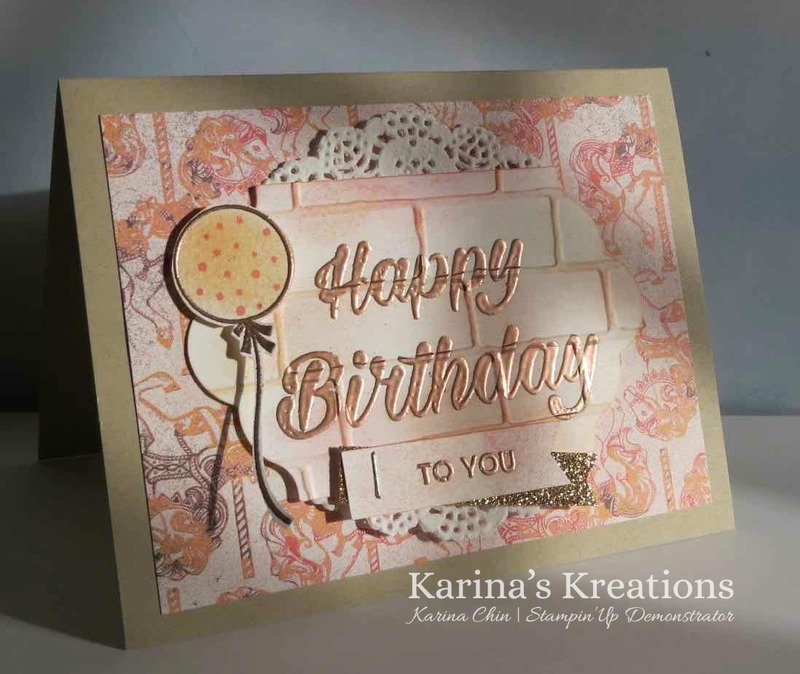 Karina's Kreations: Stampin'Up Birthday Bright Card! 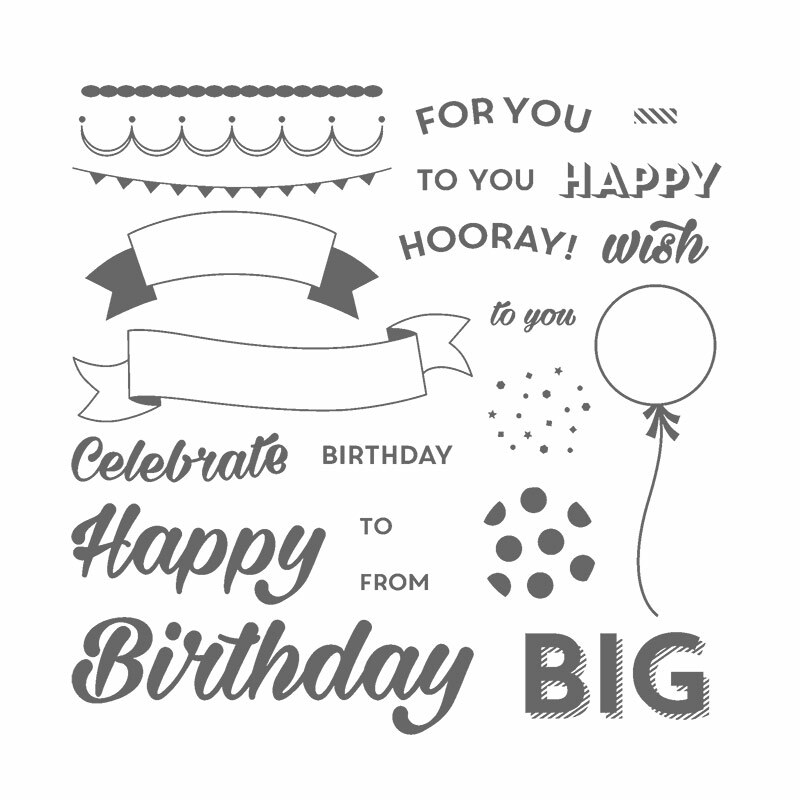 I made this beautiful card using the Birthday Bright stamp set #142835. This set coordinates with the Birthday Bright Project Kit but you can still buy it to make a variety of birthday cards. I love the fonts in this stamp set. I stamped the greeting with Verasmark ink and embossed it with Copper embossing powder. 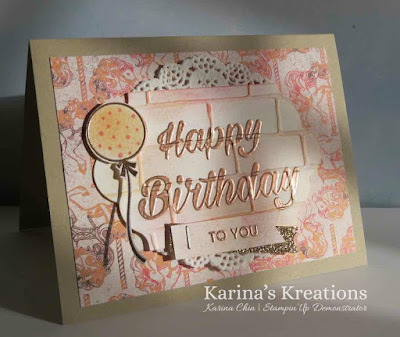 I placed the greeting in the Brick wall embossing folder and sponged it with Peekaboo Peach and Pink Flamingo inks. 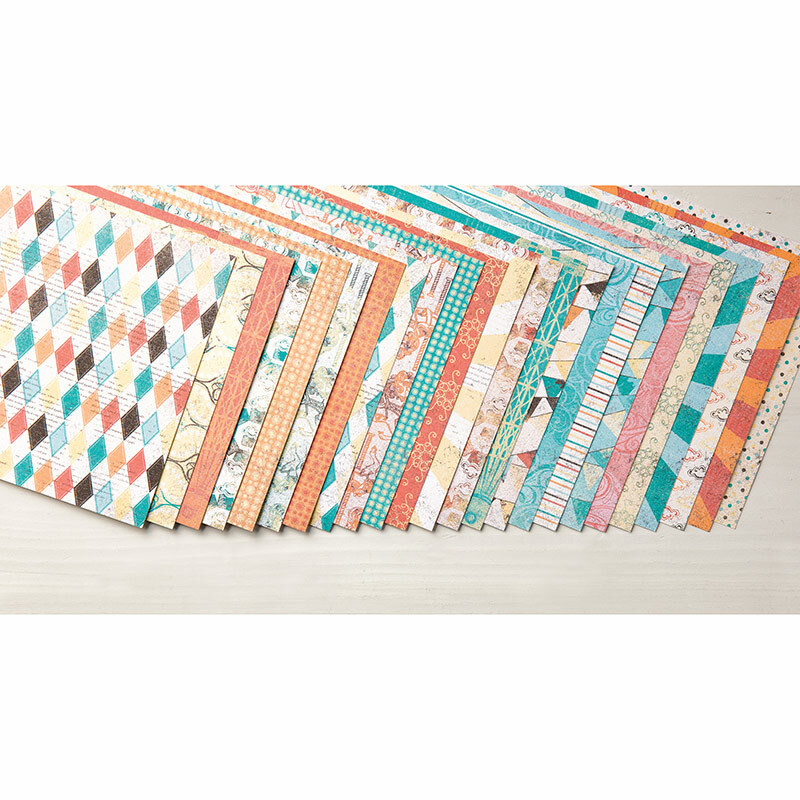 The gorgeous designer Series Paper is Cupcakes and Carousels #142829.